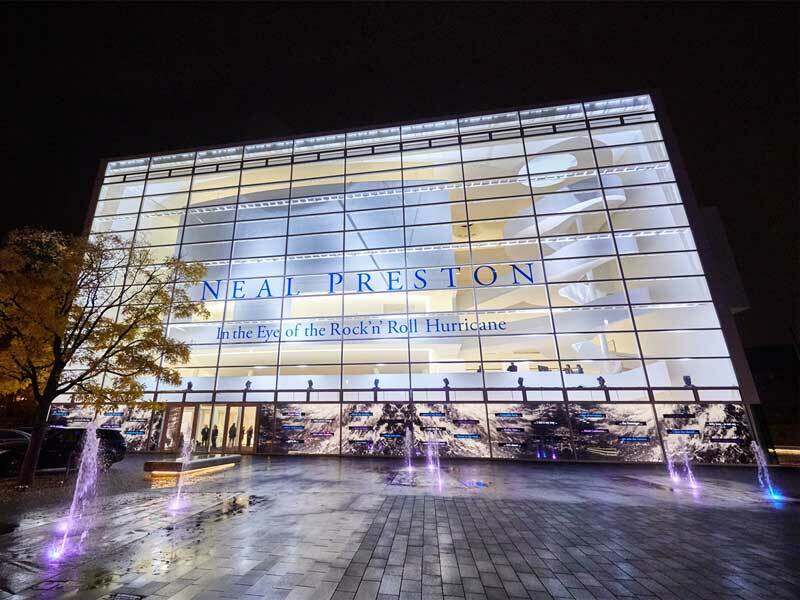 The photo exhibition “Neal Preston – In the Eye of the Rock’n’Roll Hurricane” attracted more than 10,000 visitors to Gütersloh Theater in a single month, making it one of the city’s most successful exhibitions ever. Until Sunday, 70 impressive photo portraits of Rock’n’Roll greats like Led Zeppelin, Queen, Mick Jagger, The Who and Bruce Springsteen, taken by the renowned documentary photographer Neal Preston over the course of four decades, were on display at the exhibition brought to the theater by Bertelsmann, Lightpower Collection, and Kultur Räume Gütersloh. The big crowds are not only a testament to the quality of the images, but also to the unbroken appeal of Rock’n’Roll. Audio stations and film clips featuring accompanying interviews, music, and stories brought the world of the stage to life and were intensively used by visitors.